With black Friday just weeks away, it’s again the holiday season when the brick & mortar retail industry hopes to turn a profit. But like the last few years before it, smaller retailers have the challenge of competing against big box retailers like Walmart and Target. Battling these retail giants on price is rarely successful for a mid-sized retailer. Lower prices lead to lower profit margins and lower cash flow. Then there is the “showrooming” phenomenon that even the giant retailers are vulnerable to. The temptation may be to slash prices; however competing on price alone isn’t sustainable. With price as the core factor in consumer buying behaviors, retailers must find a way to message specials and competitive pricing without competing on price alone. Retailers need a solution that can deliver high value, quality service, and attractive pricing to their customers. They need to not only attract foot traffic to their location, but also entice customers to buy. Finally, retailers need to have a way of bringing the customer back into the store and convert them into loyal repeat shoppers. 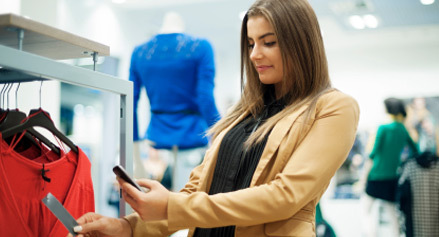 Mobile Coupons and mobile loyalty address many of the challenges that retailers face today. 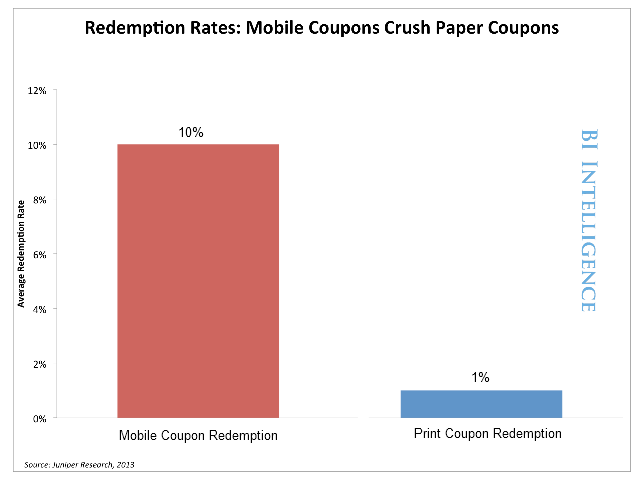 Mobile coupons are proven to increase cart size and conversion, and drive repeat purchases. Retailers using mobile coupons and loyalty have a valuable edge over their competitors, and can use the power of mobile to complete with bigger retailers with local mobile promotions. 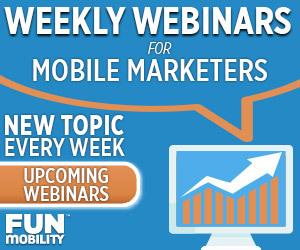 FunMobility has put together a valuable eBook called “8 Mobile Coupon Secrets to Retail Success” that will show you mobile coupon tips, tricks and techniques successful retailers are using today to compete and win.